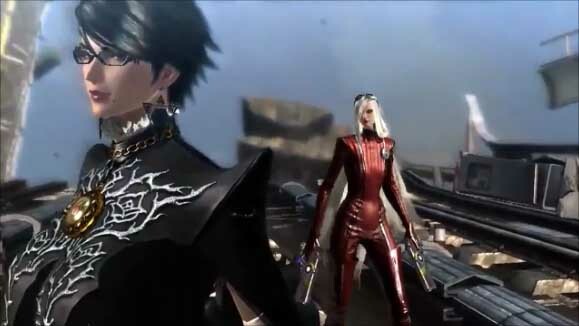 Bayonetta is a third person action game with a mix of shooting and melee combat. The game is in the same style of Devil May Cry and God of War and it can be played in co-op, single player and online multiplayer. The game is also rated M for Mature. 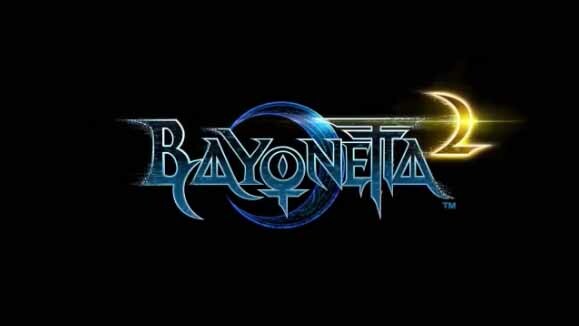 Bayonetta 2 takes place just a few months after the first game. She knows who she is now but there are still parts of her past that are missing. Even though she is one of the few Umbra Witches left she has no desire to participate in the war with the Lumen Sages or continue on in the life she used to have. Despite being unaligned with either side she is still being hunted but now it seems to be both side are coming after her. 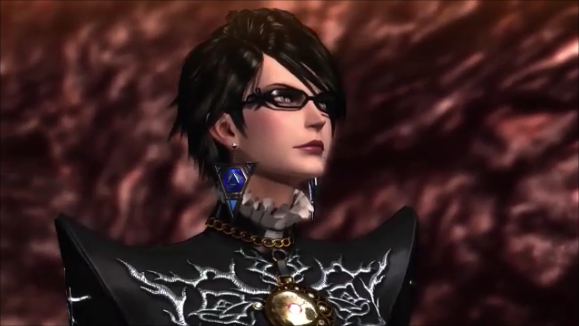 The first Bayonetta has an amazing brilliant story and some of the best combat style ever. Bayonetta 2 somehow is even better! The incredibly smooth controls and combat play off of each other. Bayonetta 2 has you using the dodge attacks to slow down time call Witch Time a lot more in this game and you have to be very fast to used it. The perfect controls makes this more fun to do and unlocks combos and special attacks. The controls were never the problem, when we got hit it was because we were not fast enough not because the controls did not respond. It made us want to try harder and keep playing to get the timing right. We had zero issues with any of the game mechanics, everything works like you want it to. Being able to attach weapons to both her arms and legs and in some case you can decide choose between the two, adds more attacking options and combos to figure out. There are also dozens of temporary weapons you get to pick up after you defeat certain adversaries. Since Bayonetta 2 takes place couple of months after the first game, the story picks right up where the other left off talking about the Eyes of the World and the great power they wield. The game still has unique creatures, they are angelic and evil at the same time and the voice talent is outstanding, one of the best we have played in both story and voice acting. 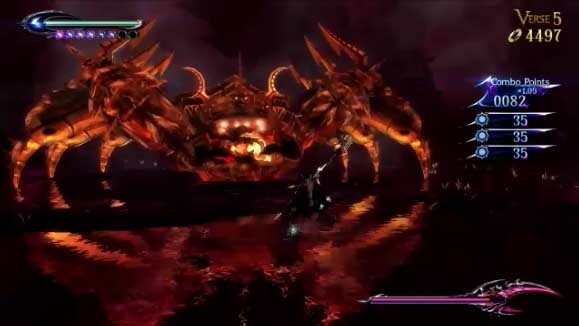 Bayonetta 2 also has powerful and intelligent over the top boss battles and you get to summon many of your own giant creatures to help finish them off. You will want to replay them over and over just for the fun of it and sometimes they are back to back or take up several steps to defeat them. They are even better than the first game and that is saying a lot. There are also little challenge portals and secrets ways to find treasures. They are optional and require some thought or some perfect combat combos to pull off but they are all fun to figure out. Bayonetta 2 took us about 12 hours to get through the first time and has an extremely high replay value, about as high as a game can get. It is challenging on any level and it is a stunningly beautiful game. PlayStation and Xbox owners don’t worry it is just a matter of time until you will be able to buy this game. It finds ways to be funny and you never get sick of doing the special torture attacks. We enjoyed see characters for the first game return and they do drop F-bombs every five words but that is just part of the games style. If that is not enough there are also 52 tag team challenges you find in the game that you can either play in single player or co-op and even the ending credits have some fighting moments to play through. The only complaints are there are times where you lose track of Bayonetta on screen because of the crazy fast combat is. We also did not like some of the accessories and there are a lot of files to read. We wish they would have use the outstanding voice talent to sell the story items in the files a little bit better. Besides those three things it is a perfect game and worth buying at a new game $60 price right now!